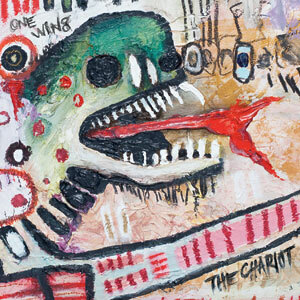 Every bit as explosive, frenetic and plain brilliant as you’d hope, The Chariot’s latest record has to be heard to be believed – as per usual. While feedback-drenched predecessor ‘Long Live’ upped the overall intensity levels, ‘One Wing’ is even more experimental in nature, featuring unearthly interludes and spaghetti western instrumentation (yes, really), a piano led pseudo-ballad and, naturally, more end-of-the-rope passion than a thousand regular albums. The work of artists utterly unafraid to push the boundaries and on a run of unbelievable form, this is a ruthless, heartbreaking and agonisingly profound release from a truly unrivalled band. Absolutely essential.